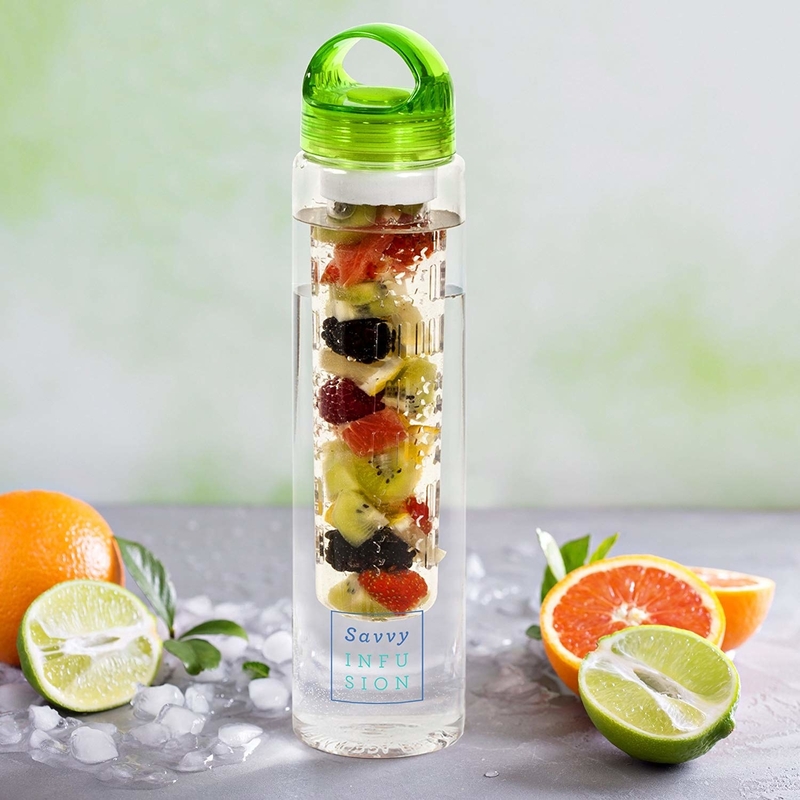 Thirsty AF for a fruit infuser water bottle. Water is really freaking good for you and SO important to drink throughout the day, it's just a fact of life. But for a lot of us, even those who try everything we can to increase our consumption of it, sometimes it's just difficult to force drink something with zero flavor. If you'd genuinely like to drink more water, but long for some flavor and seltzer isn't your jam, then you're gonna want... no, NEED this fruit infuser water bottle! Now you're thinking, why can't I just stick a handful of fruit in a normal water bottle? Sure you can, but then it gets all soggy and yucky after a couple of hours and you find yourself drinking fruit chunks. Like, if I wanted pulp I'd just make some juice? This water bottle keeps fruit separate from your water so you get the fruity flavor, without the soggy fruit bits. And it's so easy to detach and put all back together. BTW, while you can use fresh or frozen fruit, and experiment with veggies, herbs, and spices! Cucumbers, mint, basil, jalapeños — get spicy with it, get jiggy wit it. And if you're having a hard time coming up with some creative combos on your own, check out these fruit-infused water ideas. And, and, and it comes in two sizes and four colors! So you get options, which is pretty important for something that'll last you so long. This reviewer is a fan of how easy it is to use! 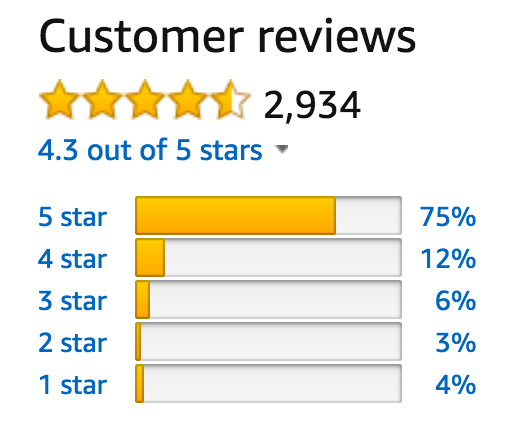 While this reviewer says it's great for getting the whole family to drink more water! "I love this bottle! Its sleek design is easy to handle, easy to wash, and works just as it's supposed to! This tasty water has us drinking more water every day. The kids love it too!" —Mary G.
So if you're ready to up your water game in the most delicious way possible, get this infuser bottle from Amazon for $13.95+. GIVE ME ALL THE WATER!